They say one man’s rubbish is another man’s treasure – and that’s certainly the case for Catford artist Michael Connell. Michael takes scrap wood, broken glass and sash cord and makes stunning contemporary art in his back garden. Much of the wood Michael uses comes from the Catford branch of Selco Builders Warehouse on Bromley Road. 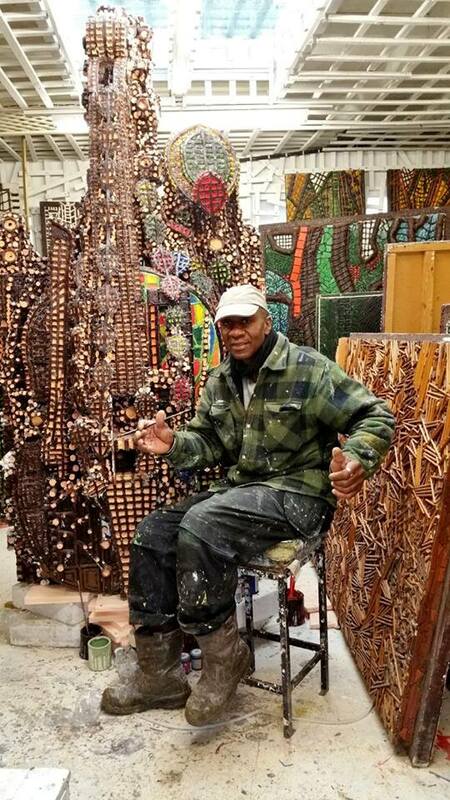 Michael, a 63-year-old floor screeder, said: “Construction is my livelihood, but art is my passion. “I love to take waste materials and make them into something spectacular. Michael has built a large shed in his garden which he uses to do his artwork. 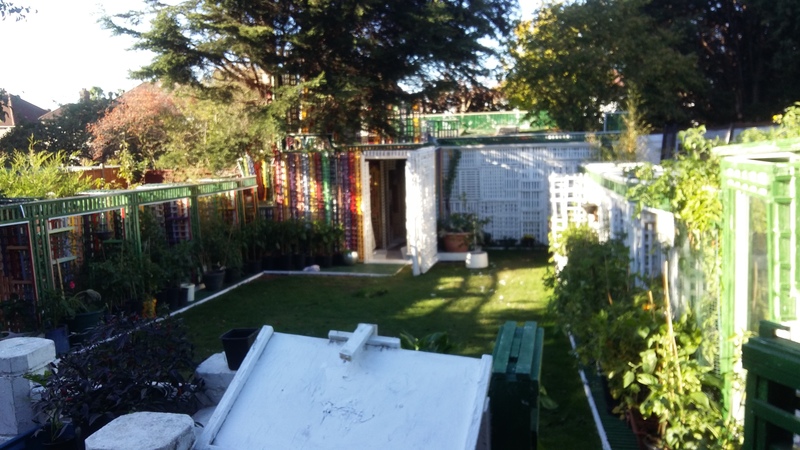 The shed, called Povera and made entirely from recycled materials, was a finalist in George Clarke’s Amazing Spaces competition – and he also throws open the doors every year for art exhibitions. A film crew recently visited Michael’s shed to make a documentary about his work. Michael is hoping to use the space for a fashion show next year utilising local designers who use recycled items.